This bathroom features a playful mix between antique and contemporary, using antique lighting, framework and shaker doors for visual appeal. The tap ware, lighting and cabinet handles are all accented with a lustrous golden colour to complement the cool tone prominent within the vicinity. 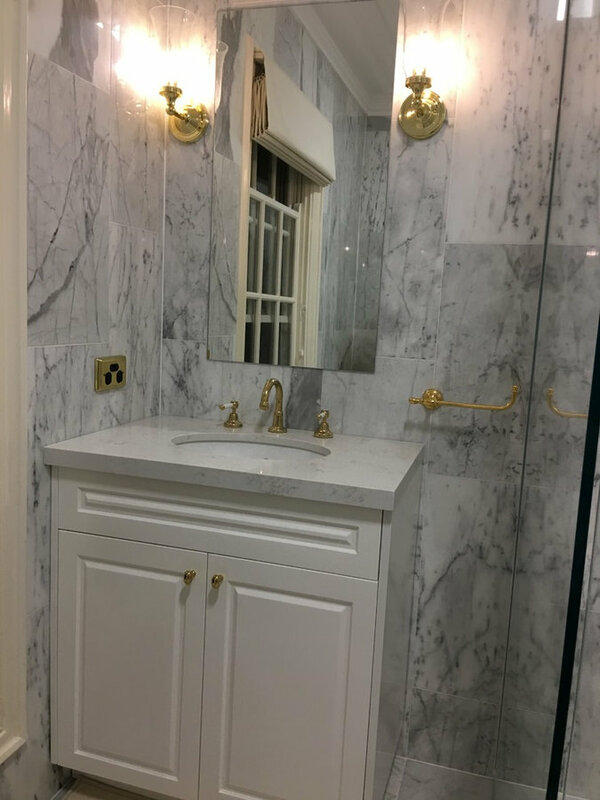 The wall tiling is made of marble and a marvellous pattern which works well with the simplicity of the vanity design. The mirror is custom crafted, using a broad, bevel white frame and is well-lit from the lights which sit beside it. The design is customisable as demonstrated from the images, to which the length of each of the vanities can be extended or retracted to fit the size of your bathroom. 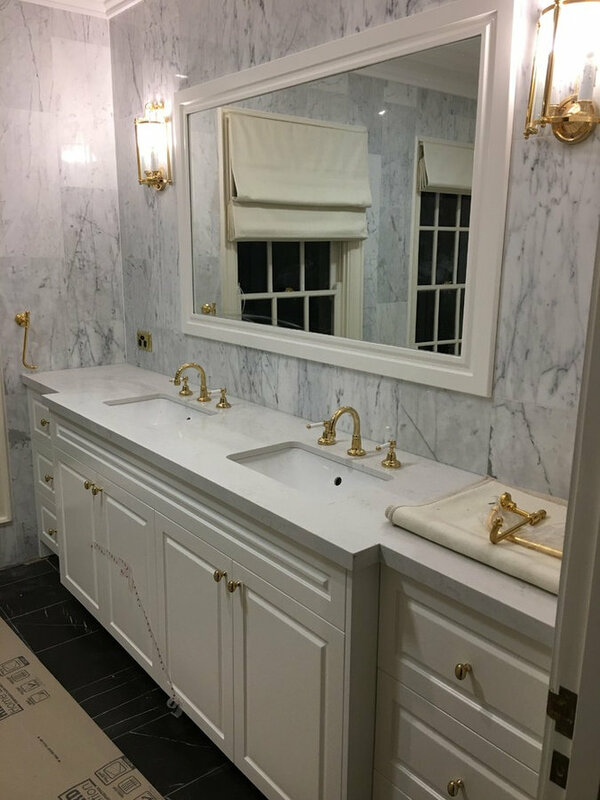 This is because of its simple pattern which can be continued or discontinued and extra storage systems like drawers which easily work when placed next to the vanity.